Ahoy, Mateys! Thursday is “International Talk Like a Pirate Day“! 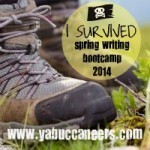 And as a crewmember for the YA Buccaneers, I’m shivering in me timbers with excitement! To celebrate our special day, we’re having a contest. Pirate loot, of course! 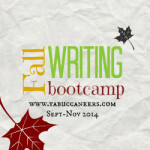 And the chance at query critiques, chapter critiques and much, MUCH more! So much more, in fact, if you miss this, you’ll be sorry. What do you have to do to win all that great treasure? 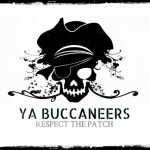 It’s a “Talk Like a Pirate Twitter Contest”! That’s right, tweet your best writing and query tips on Thursday, September 19/13—make sure they’re in pirate talk, of course—and you’ll earn entries into our great giveaways. 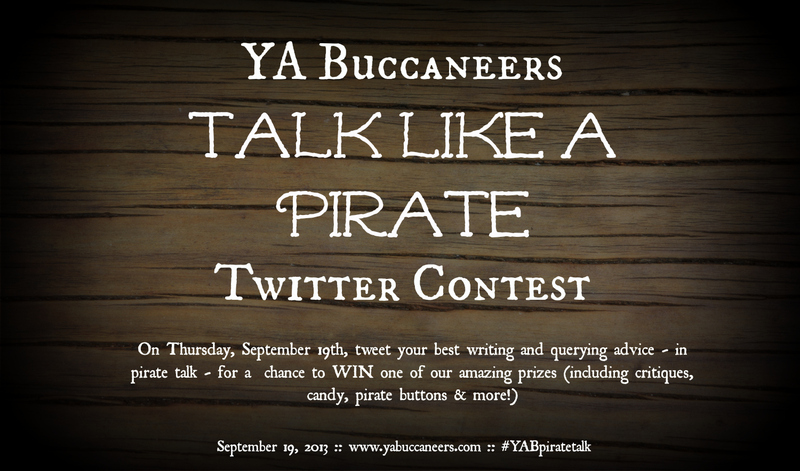 Don’t forget to use the hashtag #YABpiratetalk so we’ll see your tweets. It’s going to be fun, and I’m going to be doing one of the critiques (I’ll be gentle, I promise…I’m Guppy Guts Skullcracker, after all). 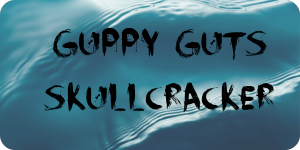 To find out more information, sail over to the YA Buccaneers to read all about it, and check out the links to help you with your pirate talk. It’ll be worth yer while, matey!